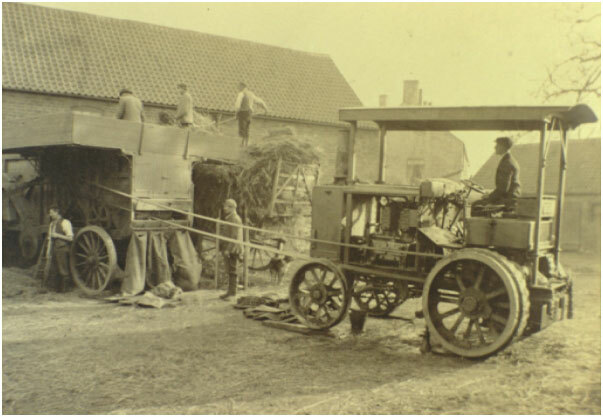 The photograph shows the tractor on trial at Bransby Farm near Gainsborough in 1906. 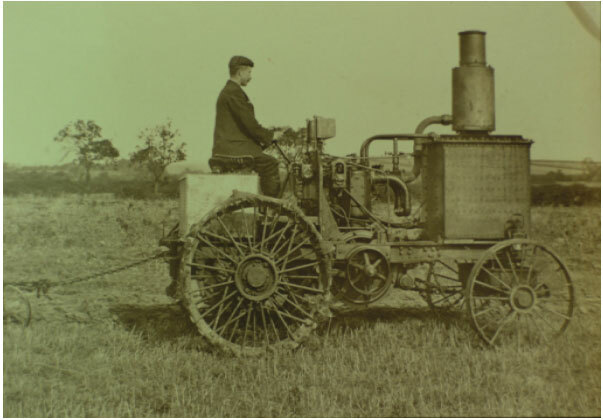 Exhibited at the 1908 Smithfield Show.Many of the characteristics of this prototype tractor would be incorporated into the next range of tractors. The first batch was manufactured in 1907. 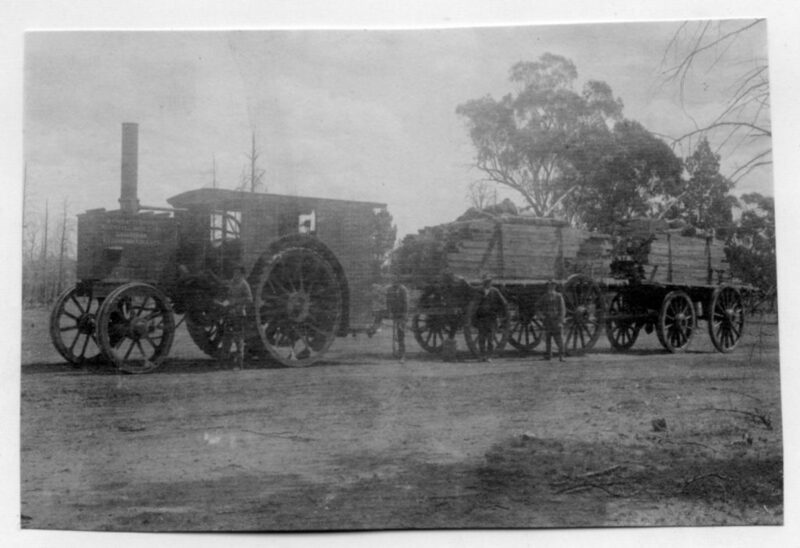 Class A tractor trials lead to the design of five different types of tractors aimed at the North Americas and Australia hence the group name “Colonial”. It was awarded several medals at different shows. 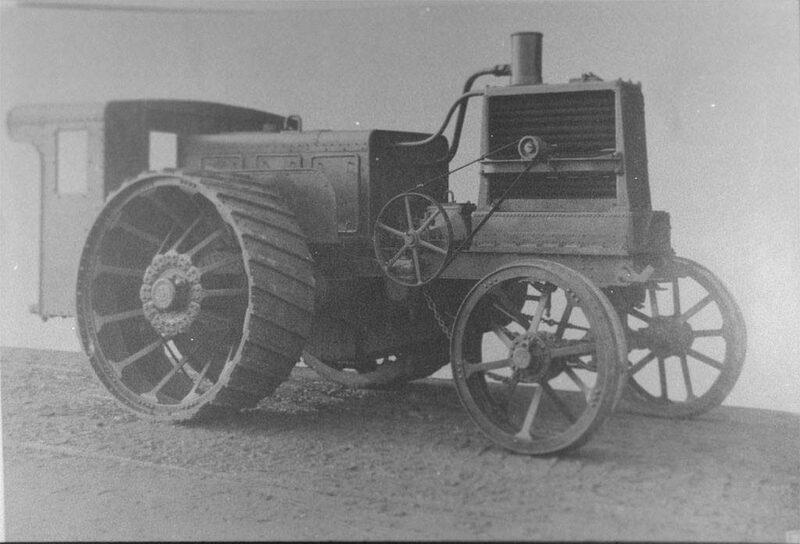 No Class B tractor was ever produced. Classes C to G were much larger than the Class A tractor designed to haul large implements or road trains across the prairies. It achieved first prize in the Winnipeg Trials of 1909. The last batch was despatched to Russia in 1914. An example was brought back to the UK by the late Henry Marshall and fully restored. 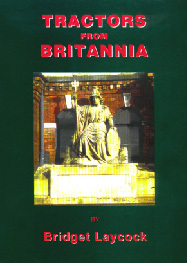 It was on display in the Marshall Museum at Britannia Works for many years. 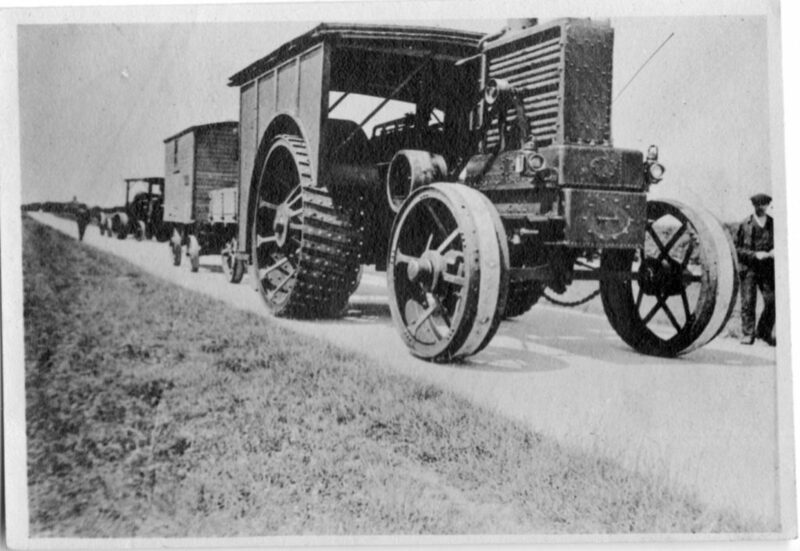 With the introduction of World War 1 tractor production ceased due to the need for the production of munitions. By the end of 1914 Marshalls had sold over 300 Colonial tractors.